An agency broke employment laws by asking the man to perform the task, which wasn’t in his contract. A BARTENDER WHO was asked to create a “human barrier” while working at a concert has been awarded compensation for a breach in the terms of his contract. 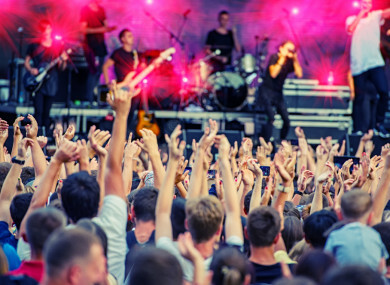 The contract worker had been employed by a staff supply agency to work in the bar at a series of music concerts at a major Irish venue in February 2018. At a Workplace Relations Commission (WRC) hearing, the man said that he and a number of colleagues were directed by the venue management to move temporarily from bar duties to assist security staff in a crowd management situation. This included helping to form a “human chain through the audience” to allow the band that were performing to “run through the crowd to the stage”. The man claimed that this was “extremely stressful” as the audience were difficult to control, and he had no security training. He added that he was “particularly vulnerable” due to his short stature and “thousands of teenagers were pushing and shoving” him. He said that his contract as bar person and general operative did not include any security duties of the nature required by the “run through”. In response, the contract company, which was not named in the anonymised WRC decision, said that staff were occasionally requested by venue management to assist with this kind of “run through” by performers. However, it added that it is an “infrequent duty” and “purely voluntary” for bar staff. The company said that it had raised the issue with the venue following the complaint and wrote to the man confirming that he would not be requested to assist with a “run through” again. The WRC suggested that the company “seriously look” at its policies and consult with its insurance and liability providers regarding the practice. The industrial relations watchdog ruled that the complaint was well-founded and recommended that the company pay the bartender €250 in compensation for breaking employment laws. Email “A bartender won compensation after being asked to form a 'human barrier' at a concert”. Feedback on “A bartender won compensation after being asked to form a 'human barrier' at a concert”.